The UK Puzzle Association are pleased to announce the 2015 UK Open Sudoku and UK Open Puzzle Tournaments. This growing annual event is a must for anyone with an interest in puzzles or sudoku. Although there will be a competition element to the weekend, more importantly it is the annual opportunity to mix with others sharing your interests in a relaxing environment. For the competitively minded, there will be competitions. Each competition will be made up of manageable rounds, much like a mini world championship. There will be a variety of prizes on offer, including best newcomer, and best overseas competitor for each event. These events will be used as part of the selection process for the UK teams, where the top 2 British competitors in each event will earn a place on the A-team to represent the UK at the 2015 World Sudoku Championships (WSC) or World Puzzle Championship (WPC) that will be held in Bulgaria in October. Everyone is welcome to participate, including overseas competitors. Children under the age of 16 must be accompanied by a parent or guardian. If a puzzle packed weekend, meeting up with like-minded people, in the company of the UK's top solvers, appeals to you, then these are the events for you. Spaces are limited, so make sure you register early to reserve your place. For more details and to register please contact Liane Robinson. £30 - day pass (valid from 9am-6pm) includes use of all facilities, competition entry, lunch and break-time refreshments/snacks. Additional nights pre/post event are available - POA. Closing date for room reservations is 7th now extended to 21st February 2015. Selsdon Park Hotel and Golf Club is one of Southern England's most unique and picturesque country resorts. Surrounded by 205 acres of magnificent Surrey Countryside, this stunning property is sure to impress. Located close to East Croydon train station, it takes just 15min to Central London & Gatwick Airport. A complimentary shuttle service runs to and from the station Monday - Friday making transportation hassle free. 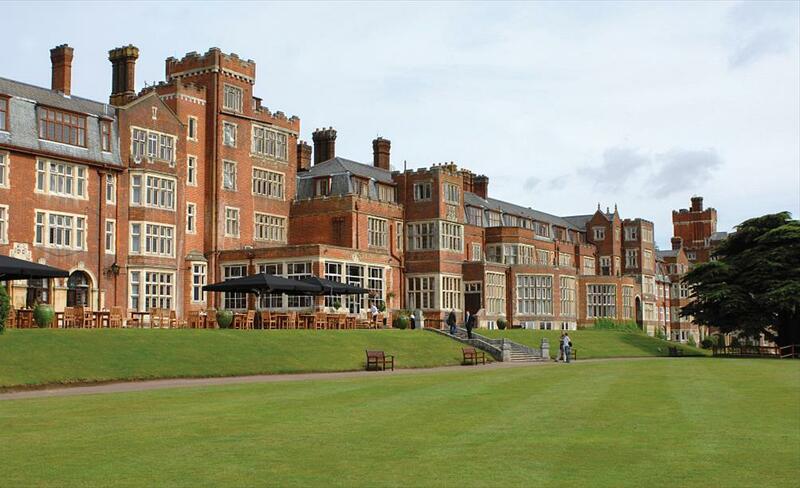 Selsdon Park Hotel is just 15 minutes from the M25 and is ideally located close to Chessington Word of Adventures, Hever Castle, Chartwell, Epsom Races, Thorpe Park and Heathrow & Gatwick Airport. More information on the 2014 WPC/WSC site. If you would like to be part of this annual British puzzle gathering, please contact Liane on liane@ukpuzzles.org. The puzzles used in each of the 2012 Open tournaments are available below, and representative of what to expect in 2015. For more puzzles, you can download and solve past tournaments hosted by the UKPA from the Online Contests page. Around 100 other free international online puzzle and sudoku contests are listed in our active forum, in the Puzzle Competitions area.